Farnborough International Exhibition and Conference Centre venue director says it's a 'momentous decision' to invest in new building­. 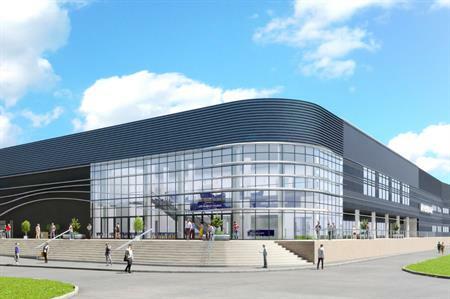 Farnborough International Exhibition and conference centre venue director Michael Watton says the new building has been built to offer a brand new venue for the air show in 2018. And with spring bookings already in place for other types of events, Watton has high hopes for future business. "It’s a momentous decision to invest in permanent infrastructure for the lifetime of the airshow," said Watton, adding that he hopes it will stage other varied types of events in the future. "Historically the airshow has been built with a temporary structure. Of course, that’s very expensive to fit out, build and take down every two years. "So we have taken the decision, for part of the exhibition, to invest in permanent facilities which replicate what we have been doing in previous years but in a much more enhanced environment. In terms of meeting rooms, the building has nine discreet spaces that can host any type of event, with banqueting space for up to 600 delegates, and conference rooms for up to 900. Watton added: "We are very fortunate here at Farnborough to be hosting a whole series of events in spring including Southern Manufacturing, our first event, Security and Policing in March, then towards the end of the year Screwfix in September and the C&IT Association Forum in April." The venue’s exhibition space can cope with larger audiences of up to 2,500 and can host exhibitions of up to 12,500m2, but also meetings from 20 up to 2,000 people. For more features and breaking news sign up to C&IT Magazine's daily News Tracker.